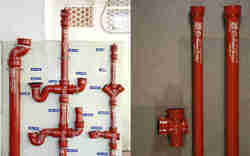 - Galvanised Iron Pipes and Fittings. The GI Pipes are generally used for distribution of treated or raw water in rural or urban areas. These pipes are cheaper, light weight and easy to handle. - Cast iron pipe is a pipe which has had historic use as a pressure pipe for transmission of water, gas and sewage, and as a water drainage pipe during the 19th and 20th centuries. Outer Diameter 1/2" to 6"
“Kapilansh Centrifugal” Soil Pipes & Fittings (IS 3989) “Kapilansh” the name that has become synonymous with Centrifugally Cast Pressure Pipes in India, offers Centrifugally Cast (Spun) Iron Spigot and Socket Soil, Waste, Ventilating and Rain Water Pipes, fittings & Accessories confirming to IS: 3989:2009 for all your Drainage System needs i.e. “Kapilansh” with their expertise in manufacturing Cast Iron Pressure Pipes, utilized “De Lavaud Process” for manufacturing “Kapilansh Centrifugal” Pipes. The superior Quality Assurance and control measures ensure you get only the best piping for the drainage system. Cast iron pipe is a pipe which has had historic use as a pressure pipe for transmission of water, gas and sewage, and as a water drainage pipe during the 19th and 20th centuries. 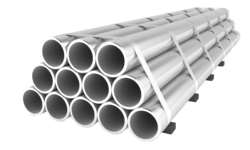 It comprises predominantly a gray cast iron tube and was frequently used uncoated, although later coatings and linings reduced corrosion and improve hydraulics. Cast iron pipe was superseded by ductile iron pipe, which is a direct development, with most existing manufacturing plants transitioning to the new material during the 1970s and 1980s. 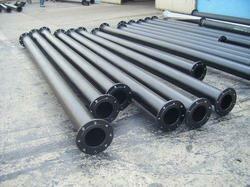 Little cast iron pipe is currently manufactured. Looking for Iron Pipes ?